ScreenMeet is a simple, yet powerful online meeting software for sharing your PC, Mac or Android screen. Present from your computer or Apps from your Android. Save time and reduce frustration by not requiring downloads to attend. "Screenmeet as a remote control software." Has great features like diagnostic tool, file sharing, real time chat, screen sharing, session recording, session transfer just to list a few of them. It is easy to use since one just click a link sent or enter a six digit code into a webpage or mobile app. Have a great customer support whereby they view and remote control users screen directly in their web browser. With Screenmeet, you need no more additional software to run remote support sessions. It protects your data with high encryption security and allow you access your data safely and fast. So far i got nothing to complain about Screenmeet. It a helpful and power app. Am using ScreenMeet for screensharing, real time chatting with customers as well as holding up sessions with customers. It has made my customer relationship grow strong and also help me record sessions for future referencing. "Amazing and simple little app for demo'ing mobile applications"
Drop-dead simple application that lets you share you mobile device screen with others through a web browser. 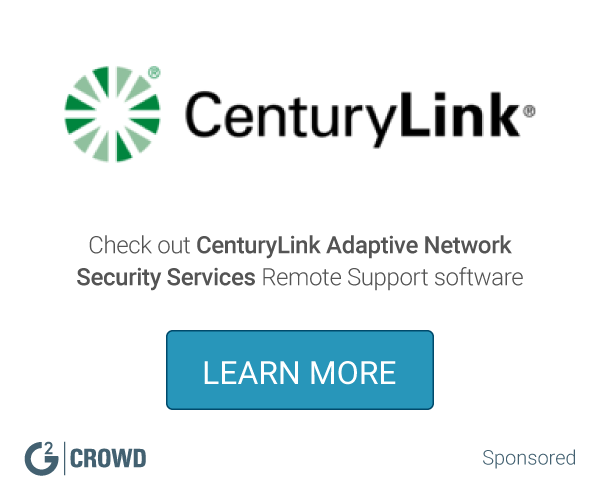 You sign up, install the app, start the app, and it gives you a URL to provide to others - they then see what you are seeing and doing on your mobile device. There is virtually no lag. We are currently using this on Android for customer demos. I have yet to find one thing that I dislike in this app. $15/mo for the mobile version seems a little steep to me, but we are luckily able to expense this and get reimbursed. Try the free trial where the first 5 screencast are free. See if it meets your needs. I routinely stand up mobile applications and sites for clients and needed a way to easily share my device screen. This lets me send them a simple URL, they go to the site, and can see my device for the demo. I could see this working great for incorporating a demo of a mobile app into a presesentation, so long as you had internet access. "Easiest mobile screen sharing solution"
"Enterprise business tool built for the modern workforce"
Screenmeet is a super-lightweight application that allows us to initiate screen-sharing quickly from the desktop or mobile. With no downloads or installation - meetings are up and running in seconds. I often will text my guest with the link and they watch on their phone/iPad. Ease of use and the ability to include my own conference # is huge. Although I don't mind it - some people wish that you could use video chat...but its so fast and simple that I'd much rather have the meeting/call than wait 12 mins to do troubleshooting with their IT person. Do a trial and use it on your next meeting...you'll wonder why it was so hard all this time. No painful downloads and awkward video popups. Hyper fast and dependable - I've never had a disruption. "Gran herramienta con uso sencillo"
Con ésta herramiento de uso pequeño, se pueden compartir pantallas de una forma ágil y sencilla sin mucha complicación. De ésta forma te asegura una comodidad y una comunicación única a la par que rápida y eficaz integrando la comunicación con la creatividad. A veces es un poco lenta la aplicación pero se puede deber a varios factores externos que confluyen con la misma. "Incredible platform for interaction among your colleaguest"
Screen meet provides an impeccable service and user friendly software to interact with your business partners and colleagues in an attempt to exchange vital information for your organisation to function smoothly. We face some technical issues as screenmeet is not established well enough in India however the software may be more interactive and could enhance their quality of vedio conferencing. We at our organisation are solving numerous problems with screenmeet it helps us to save time and energy and allow us to focus on more important work. Me encanta lo fácil que es compartir la pantalla del dispositivo en el que estoy. Lo mejor de todo es que me gusta cómo las personas pueden unirse a mi reunión simplemente visitando el enlace a mi reunión; no necesitan descargar, instalar o registrarse para nada. A veces la velocidad es un poco lenta. Además no hay transferencia de archivos para android! Pruebe la versión de prueba gratuita y vea si satisface sus necesidades. Sin descargas dolorosas y ventanas emergentes incómodas. Muy rápido y fiable, nunca he tenido una interrupción. Nuestro equipo ahora se puede reunir de forma remota para las presentaciones de ventas, y no tenemos algunos de los problemas de conexión que teníamos con nuestro software anterior. "Easy sales and buy ins"
It’s made communication with my customers a lot easier. "I love holding meetings with ScreenMeet"
I love how easy it is to share the screen of whatever device I am on. Best of all I like how people can join my meeting just by visiting the link to my meeting; they don't need to download, install or register for anything. I dislike that most people are still using Skype and Google when the ScreenMeet solution is much simpler. This allows me to easily share my screen with anyone without needing them to install or setup an app. "Great for sales teams, best software for mobile support"
no file transfer for android! This needs to be fixed. Our team can now meet remotely for sales presentations, and we do not have some of the connection issues we were having with our previous software. It's so easy to screen share from my phone and computer to any device. Best of all, the attendee just clicks the link and can join, instantly. No download, no app, no software needed. Nothing. It just works on any device. So simple for attendees! Faster sales cycle. Easier close. Less frustration on both sides. Better understanding of our website, creating a great customer experience, and all while building trust with the customer. 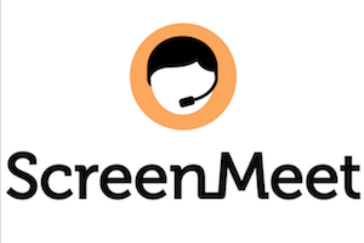 * We monitor all ScreenMeet reviews to prevent fraudulent reviews and keep review quality high. We do not post reviews by company employees or direct competitors. Validated reviews require the user to submit a screenshot of the product containing their user ID, in order to verify a user is an actual user of the product. Hi there! Are you looking to implement a solution like ScreenMeet?